In Episode 7 of the Brew Theology Podcast, Ryan and friends (Dan, Janel, Stephen & John) tackle pluralism. Religious Pluralism is defined as "the acceptance of all religious paths as equally valid, promoting coexistence." When we "brew theology" together each week in Denver, we do so in a pluralistic context. What does pluralism say about "truth?" Is tolerance truly feasible? Can monotheistic traditions accept real pluralism? Why believe in anything if that's the case? Can you hold onto your particular faith/ religion and still be embedded in a pluralistic culture that is in sync with a "common good?" Are there "ultimates?" Can you take a bit of "this" and "that" and "co-exist" with a new flava' of spirituality? Do all paths lead to ___________ (whatever "that" is). I'm sure the "heresy" thing will be brought up too... Enjoy, friends. AND Follow & "Like" Brew Theology on Facebook & Instagram (@brewtheology) & Twitter (@brew_theology). The Brew Theology website is under construction...www.brewtheology.org! Here's what's coming. Read HERE! & check out the additional Brew Theology brand (via coffee & tea) HERE! Check out our latest video on Vimeo, HERE! Subscribe to our YouTube page, HERE. 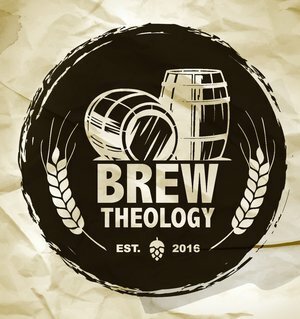 Questions & inquiries about Brew Theology, contact Ryan Miller: ryan[at]brewtheology[dot]org and/or janel[at]brewtholeogy[dot]org. In Episode 5 of the Brew Theology Podcast, host Ryan Miller speaks of his personal trajectory with "The Turn" throughout the years, and the ongoing "turns" within the Hebrew Bible, etc. as it applies to the 21st Century Brew Theology alliance that is in the "works" (fermenter)... Enjoy! Don't forget to share this hopilicious brew with your friends and fam. Check out Brew Theology on social media: Follow on Facebook, Instagram, Twitter. The website is under construction. Want some sweet Brew Theology Swag? Purchase some, HERE, along with the coffee/ tea addition, HERE! You walk into the brewery looking forward to another evening of stimulating god-talk and a delicious beer. After saying hello to fellow Pub Theologians you make your way to the bar to order. After looking over the choices (Imperial stout or the IPA?) you decide on the stout. You think that you have made the choice free from any internal or external agent and that you could have chosen the IPA instead. But have you? Where do your thoughts lie regarding free will? Where do these beliefs come from? A feeling of having free will? In Episode 4, Ryan invites his friends, Peter, Monica, Dan & Daniel to the table... Was this crew determined to be together, or did they choose it? That's still debate... Enjoy & share the brew!